THE TERMS AND CONDITION BELOW APPLY FOR ALL SERVICES LISTED ON OUR WEBSITE. Please read carefully and make sure you understand them before booking a service on our webpage or over the phone. 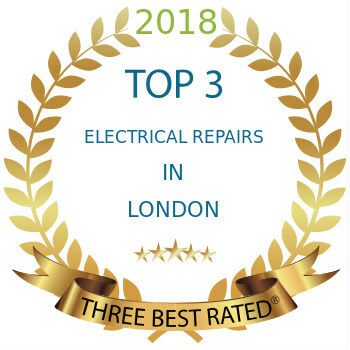 1.1 Mix Repairs Ltd provided White goods repairs, sales and installation services through our website https://mixrepairs.co.uk Mix Repairs is registered in England and Wales under company number 07389162 with registered office at 105 Mayes Road, Safestore Unit 1, London, N22 6UP. 2.1.3 The booking confirmation will relate only to those services whose booking we have confirmed in the Booking Confirmation. We will not be obliged to supply any other services which may have been part of your order until the booking of such services has been confirmed in a separate Booking Confirmation. 2.2.1 To cancel a Booking or to make a change to your booking you must inform us via telephone on 020 888 11 374, email office@mixrepairs.co.uk or web message no later than 5 pm on the previous business day to your visit date. If your visit date is Monday you should notify us by 3 pm on Saturday prior. 2.2.2 You will not have any right to cancel a booking for the supply services – If we have already attended and the repair has started, in this case, you will be charged the full labour rate. 2.3.1 We do not repair commercial appliances. 2.3.2 In the event that we are reasonably unable to supply the services which you have ordered and in the time frame of your order due to circumstances beyond our control. Should this happen, we will offer to reschedule the appointment date and time with you. 2.3.3 Some repairs will require that the appliance is fully accessible (e.g. able to be moved from under a work surface without damaging the surrounding facia). If your appliance cannot be easily accessed to facilitate the repair we reserve the right to abort the repair. In such instances, we reserve the right to charge you the full labour rate. 2.4.1 Mix Repairs Fixed labour/diagnostic charge covers the engineer call out no matter how long or how many repair visits will take to finish the repair. 2.4.2 Payment for service visit is required prior or on the day of engineer’s visit. You can pay by Cash, Credit/Debit card. 2.4.3 Spare parts required for repair will be charged separately. 2.4.4 Free parking or a valid permit to park must be provided to the engineer attending to your repair. If you can’t provide parking a fixed one-off parking charge will apply per repair, per appliance. 2.4.5 If your appliance repair requires the services of two repair engineers for e.g. repairs to a tumble dryer which is stacked on top of a washing machine, a fixed one-off fee will apply per repair, per applicable appliance. This will be in addition to any other charges. Please refer to our charges, or contact us, for more information. 2.5.1 All repairs completed by Mix Repairs guaranteed for six months for both labour and parts fitted. – Cosmetic damage e.g. scratched door or cracked facia etc. – Indirect loss e.g. food loss, damage to property, loss of earnings etc. – Repair services provided to appliances in commercial environment e.g. offices, laundrette, etc. – The appliance has been repaired, serviced, or spare parts installed or purchased by/from anyone other than Mix Repairs or a repairer acting on our behalf, since our last visit, or is moved to a new address. – Waste of management or office time. – In respect of refrigeration equipment we do not cover food loss or spoilage.